1. The first step is figuring out if your sink will fit in the cabinet. 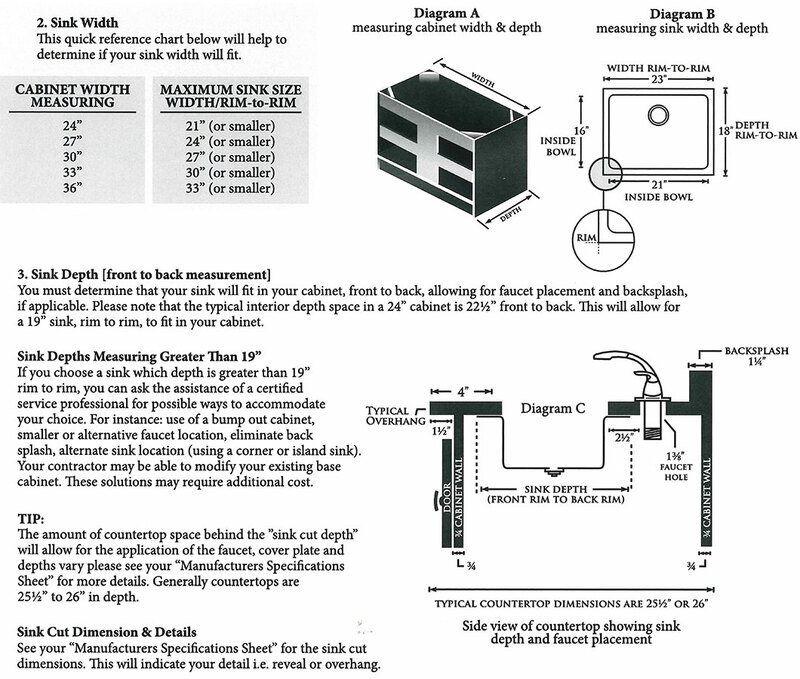 You must take into account the width and depth of the cabinet and the dimensions of the sink from rim to rim.